Location: just behind the top of the skull. This is also the center of connectedness with the Goddess (God), the place where life animates the physical body. 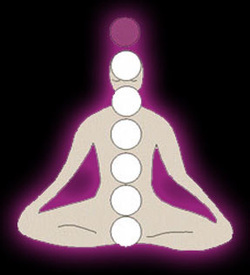 The silver cord that connects the aura bodies extends from the crown. The soul comes into the body through the crown at birth and leaves from the crown at death. 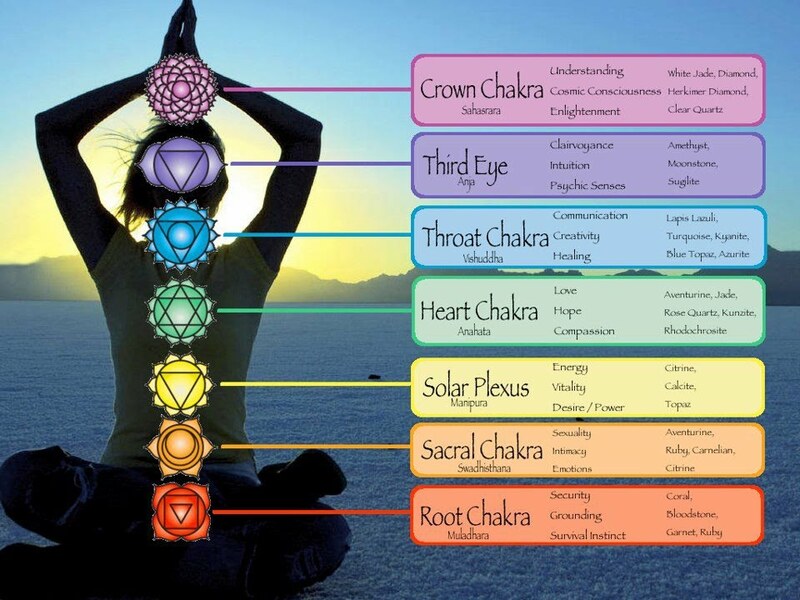 When this chakra is unbalanced there may be a constant sense of frustration, no spark of joy, and destructive feelings. Illnesses may include migraine headaches and depression. Balanced energy in this chakra may include the ability to open up to the Divine and total access to the unconscious and subconscious.